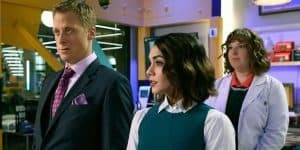 NBC's Powerless Is Surprisingly Funny, Actually | Nerd Much? For the most part, network TV comedies have been entirely duds, as of late. New series like The Great Indoors, Kevin Can Wait, and Man With a Plan, all fell flat — severely flat. When was the last time we’ve really been given a comedy on a major network that was actually funny and not over-filled with laugh tracks? So many shows running now rely on comedy that’s too expected (take The Big Bang Theory, for instance), and most of the new comedy TV pilots don’t last more than a season before the network sees that’s not what we, as viewers, want at all. Hopefully, that’s not going to be the case with NBC’s newest sitcom, Powerless. So what is NBC’s Powerless? It revolves around a woman named Emily Locke (Vanessa Hudgens) who becomes the Director of Research & Development for Wayne Security, which specializes in creating products to reduce collateral damage caused by superheroes and villains. The first episode introduces us to all of the players in the show, including boss man (Alan Tudyk) and her new team of tech wizards, which includes the likes of Community‘s Danny Pudi, funnyman Ron Funches (Get Hard, Trolls), and other semi-recognizable figures. Although you might not recognize some of their names, their on-screen chemistry works really well in Powerless. In the first episode, the best comedy comes from Funches and his one-liners. In its pilot episode, Powerless actually made me laugh out loud a few times. It’s not revolutionary with its type of comedy by any means, but it’s a self-aware show with a ridiculous premise, and that combination works well — at least in its first episode. The jokes come at a quick pace, and for the most part, they land nicely. Sure, there are a few cringeworthy and cheesy moments in episode one, but we’re interested to see what sort of balance the writers can strike as we continue on through the first season. But episode one’s funniest moments come from the bickering between the team and their new leader (as well as between themselves), and hopefully, there will be more of these moments in the rest of the series. It’s also worth noting that the way that Powerless also handles its nods to the DC superheroes in its universe is well-done, as it does so in such a nonchalant way that it adds to the ridiculousness of the show’s premise. Instead of presenting something an actual DC villain would say when attacking a city in the comics or even in other superhero TV shows, it has the villain say something that’s wholly self-aware in that moment. At its core, Powerless is going to play like a workplace comedy — a la The Office, Parks and Rec, etc — although we can’t imagine it being nearly as brilliant. 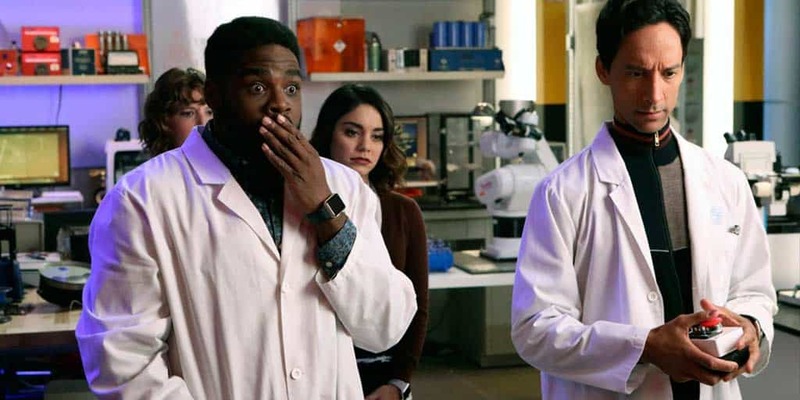 Still, Powerless‘s first episode is worth the watch, and we’re seeing a lot of potential — surprising for a comedy we had written off upon its first announcement. 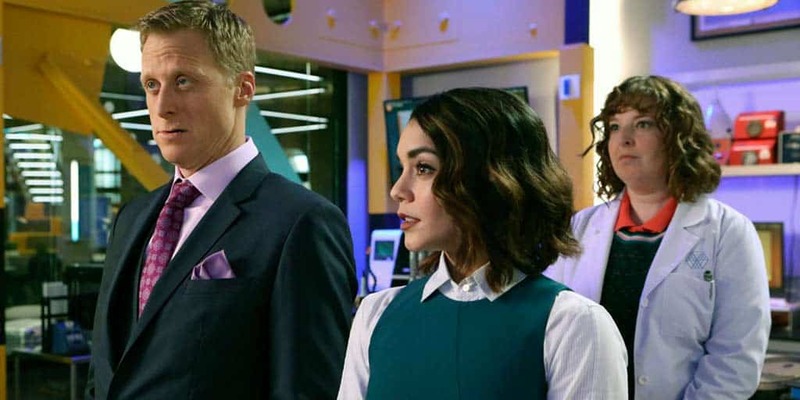 Hopefully, Powerless will be able to keep its legs underneath itself as it progresses throughout the first season, but we’ll be tuning in (Thursdays at 8:30PM EST), at least for now.